The Mister Miracle trade paperback is out this week, making this the perfect time to re-read the seminal series…or read it again…or gift it to a loved one. Mister Miracle is going to go down as one of the most important series of all time, joining the ranks of Saga of the Swamp Thing, Green Lantern/Green Arrow, and Watchmen. Tom King, Mitch Gerads, and Clayton Cowles have redefined what a comic can be, which is an astonishing feat at this point in the industry’s history. Scratch that – it’s an astonishing feat at ANY point, but it’s especially impressive today. Mister Miracle is a beautiful, poignant, and strangely uplifting tale about depression, anxiety, love, and family. It’s inspirational in a way that no other superhero comic is. Now, superheroes are inspirational in nature. They show us what we can be. Superman and Captain America are ideals to strive towards. But Scott Free – at least King and Gerads’ Scott Free – inspires us by showing us what we are. This isn’t a superhero comic. Yes, the protagonists are New Gods, and they’re locked in an epic galactic war, but that’s all just in the background. It’s set dressing. The actual story is about a man on the edge. He’s a person – same as you and me – who’s struggling to find answers in this crazy, messed up world we live in, and who’s just looking for a way out. And does he find answers? Well you’ll have to read the story to find out, but consider this: does it matter? 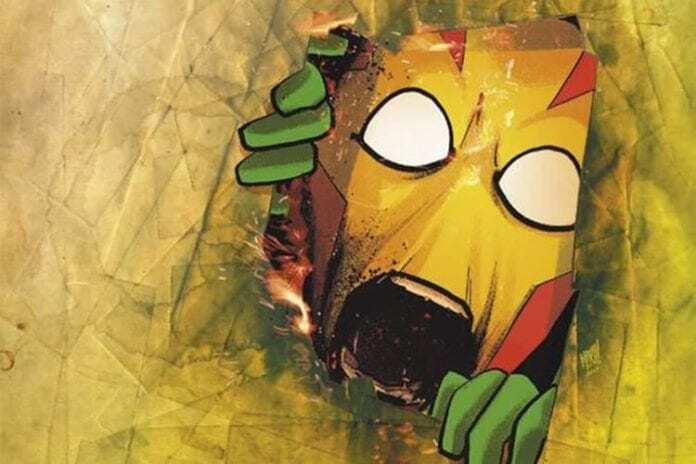 Mister Miracle isn’t a book about finding answers, or finding a way out of the craziness. It’s about learning to cope with it, and about finding meaning in what truly matters. Granted, this isn’t the first relatable superhero comic, and nobody’s claiming it is. Spider-Man’s whole brand is built on being relatable. 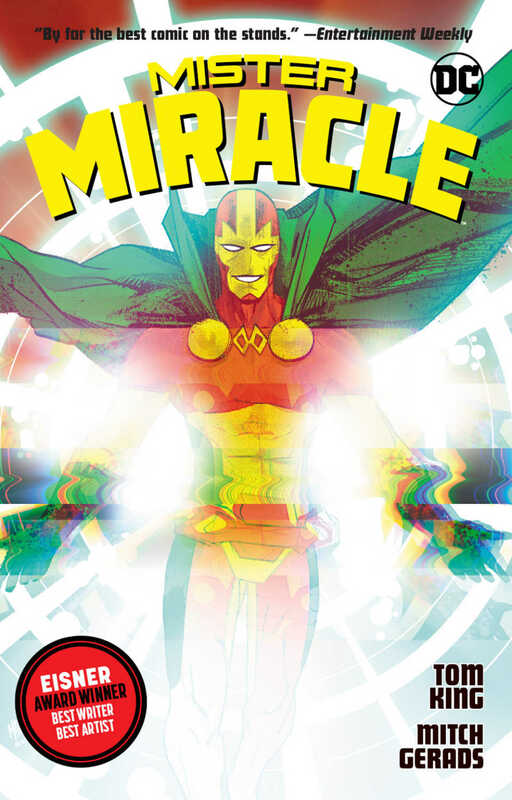 But there’s something about this Mister Miracle that connects to readers on a different level. Even when Spider-Man’s being relatable, he’s still a strong, moral character that you look up to. He takes the high road. He’s a hero. Scott, on the other hand, takes the low road plenty of times in Mister Miracle. He doesn’t feel like a hero. Gerads doesn’t really draw him like a hero either. He just looks and feels like a guy trying to get through life, by any means necessary. 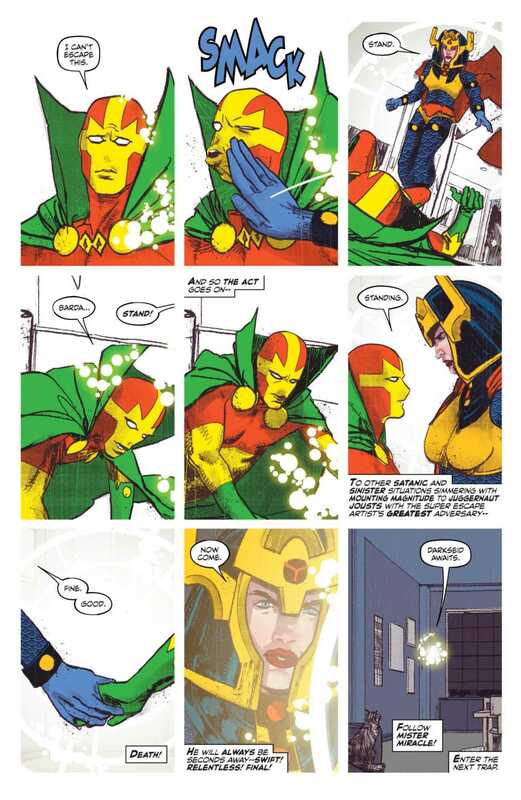 That’s perhaps the most inspirational lesson from Mister Miracle: “you don’t have to do it alone.” Scott’s relationship with Big Barda is at the heart of this series, and Barda absolutely steals the show. Their marriage shows the importance and power of having a support system in your life. Through all the action, and intrigue, and mystery, this is a love story. Not a sappy love story either – a real one. One where the wife will literally slap some sense into her husband when he needs it. So often, we think of ourselves as solitary beings, and that we have to overcome obstacles without any help in order to be strong. This story reminds us that is not the case, and that the opposite is actually true. If you haven’t read the series yet, pick up the collection. And spread the word. Recommend it to your friends and family. Buy it for them as a gift. It’s perfect for dads, moms, husbands, wives, anyone in a loving relationship of any kind, or anyone who’s struggling to find sense in the world or meaning in their life. This truly is a comic for everyone. We talked about Mister Miracle plenty during its initial run, and you can read all of our coverage here. We’ve discussed how the series shows the impact of war on a person, how King and Gerads build tension, how the story affected us personally, and more. The series is so rich and dense, that we’re probably not done talking about it either.